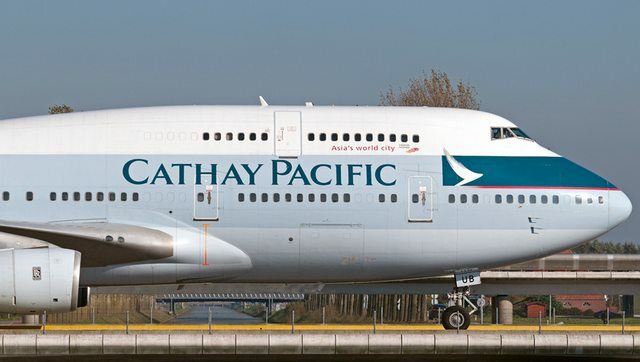 Cathay Pacific has teamed up with the Mandarin Oriental group, to offer fine dining choices, for first class passengers en route between Hong Kong and London. This is a limited time offering between September through December of 2014. Two Michelin starred chefs will offer their preparations, and passengers can experience exquisite dishes, such as a terrine of foie gras with winter truffle, and organic beef, braised in red wine sauce. Desserts will include a tart raspberry tart, and a chocolate dome with a coffee center. A complete listing of the dishes is available on their website, and my mouth is watering just reading it. Looking forward to hopefully experience this fine dining in an already awesome executive class of service, which Cathay Pacific is famous for. Be the first to comment on "Cathay Pacific Teams up with Mandarin Oriental for InFlight Dining"